Two historic cities with global influence, Washington DC and New York, can be linked by stringing together the Potomac River, Chesapeake Bay, Delaware Canal and the Atlantic Ocean. This itinerary by Patrick Cowley, skipper of Lady Britt, is packed with museums, Michelin-starred restaurants and monuments. Lady Britt is available to charter with Edmiston (although sadly not in US waters). ￼Days 1, 2 & 3: Washington DC Meet Lady Britt on the Potomac River in Washington DC. 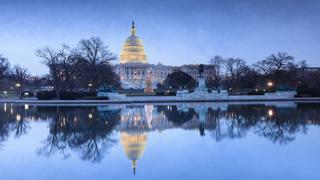 Spend a few days exploring the galleries and museums of the Smithsonian Institution, and don’t miss the new American Democracy display at the National Museum of American History. Sports fans can watch a Redskins game while foodies try the Michelin starred Pineapple and Pearls. Highlights include the roasted potato ice cream with caviar. Two historic cities with global influence, Washington DC and New York, can be linked by stringing together the Potomac River, Chesapeake Bay, Delaware Canal and the Atlantic Ocean. This itinerary by Patrick Cowley, skipper ofLady Britt, is packed with museums, Michelin-starred restaurants and monuments. Lady Britt is available to charter with Edmiston (although sadly not in US waters). Meet Lady Britt on the Potomac River in Washington DC. Spend a few days exploring the galleries and museums of the Smithsonian Institution, and don’t miss the new American Democracy display at the National Museum of American History. Sports fans can watch a Redskins game while foodies try the Michelin starred Pineapple and Pearls. Highlights include the roasted potato ice cream with caviar. 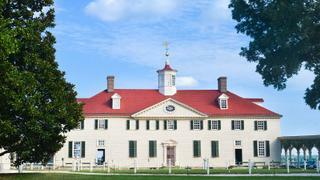 Travel down the Potomac River, stopping at Mount Vernon, home of President George Washington. In the late afternoon anchor at St Mary’s City, Maryland’s first colonial settlement and capital, and visit the reconstructed 1676 Maryland State House. 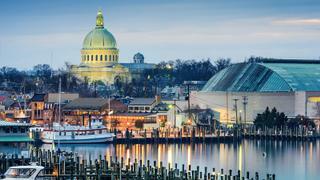 Moving up Chesapeake Bay, arrive at the picturesque city of Annapolis, noteworthy for its colonial architecture, cobblestones and brick row houses. Stroll through the town and see students from the United States Naval Academy in their white uniforms, then take in the city’s vibrant dock, crammed with boats of all shapes and sizes. Arrive in Baltimore, which has more public monuments per capita than any other US city. 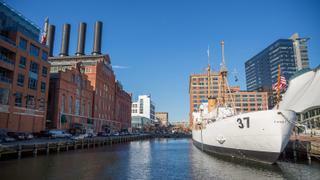 Visit Fort McHenry, where the words to The Star Spangled Banner were written, and then the Historic Ships in Baltimore museum. Four military vessels – the sloop-of-war USS Constellation, the submarine USS Torsk, the USCGC Taney and the lightship Chesapeake – exhibit life at sea from the mid 19th century to the mid 1980s. 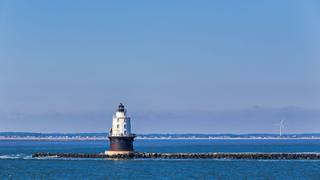 Leave Baltimore and transit the Chesapeake and Delaware Canal, which links the two bays. Stop for seafood en route at Schaefer’s Canal House, which dates back to 1907 – if you are feeling hungry, order the 5oz crab cake. Continue through the night down Delaware Bay and out into the Atlantic Ocean. 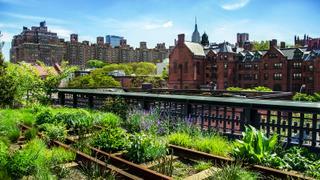 Arrive in the Big Apple, one of the top art destinations to visit by superyacht, and wander among the eclectic stores of the trendy Chelsea district, or walk along the High Line – a public park built on a historic rail line elevated above the Manhattan streets. Later try the 18-course tasting menu at Atera, with artistic dishes such as cured swordfish belly.